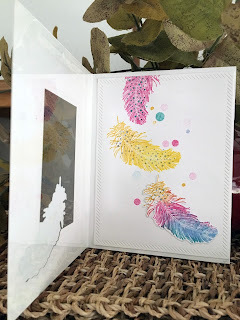 Hello Everybody, I'm playing along with the Papertrey Ink Make It Monday Challenge #280 today. To create this A2 card I die cut the front panel with a slanted rectangle on the edge as well as the center. Next I die cut the smallest size feather from Papertrey Ink's Feather Finery at the bottom of the center rectangle to make it appear that it was falling out of the little center rectangle. 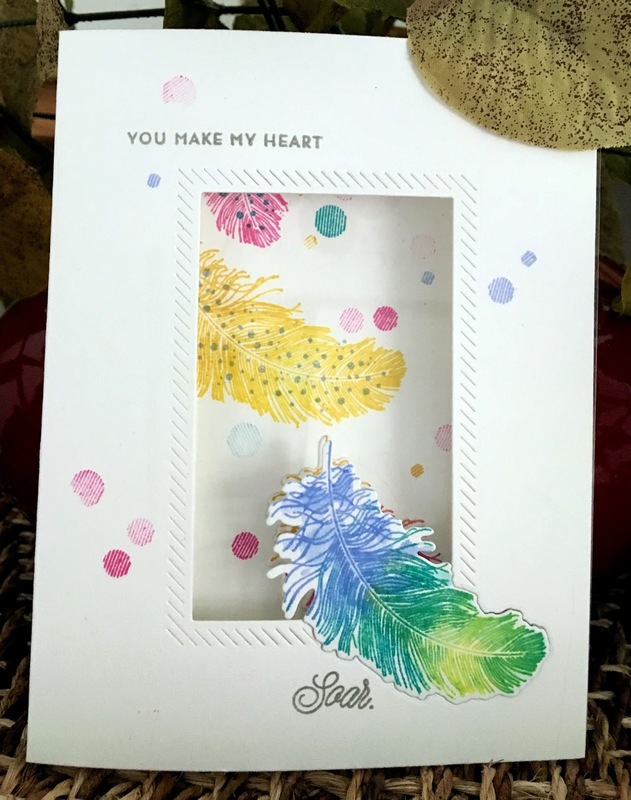 I used Distress Ink to stamp the feathers and also the little circle dots. 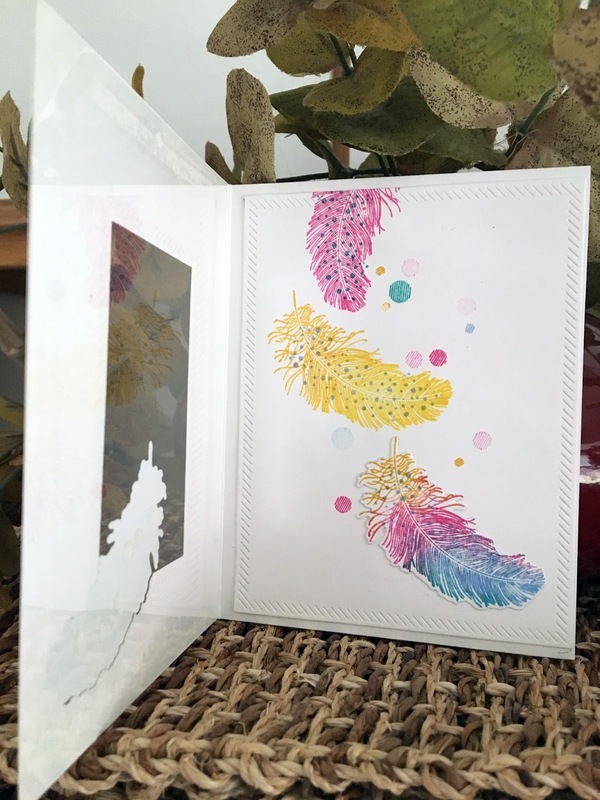 It's hard to see in my bad photography but I adhered some plastic acetate from some stamp packaging to the back of this open rectangle and attached the feather to the front of the card panel- this feather is inlaid into the front...are ya thoroughly confused yet? It's easier to see in person, but it really turned out cool. I stamped the sentiment in gray so it wouldn't look too harsh. Mary Fran, I think you win the award for best 'outside the box' card. This is simply stunning. Love the feathers, gorgeous window and wonderful layout. Well done, lady!